Partnering with Cavendish Nutrition, a GMP-compliant contract manufacturer of dietary supplement products is an undertaking of paramount importance to your business. This decision will deeply impact upon the future success and reputation of your brand. Even if your company only packages, labels and/or holds and distributes products, the U.S. FDA requires that you adhere to a strict compliance process. You need a manufacturer that specializes in your products needs and its compliance with the FDA protocols. Cavendish Nutrition are the experts in this field, we live and breathe the industry. We ensure that you are partnered with the right manufacturer, based on the unique specifications of your product. Whether you are seeking to establish yourself as an environmentally conscious company, a USDA organic certified manufacturer, or a brand whose focus is all natural and NON-GMO ingredients? Rest assured, that Cavendish Nutrition has partnered you with the right manufacturer to best facilitate your success! A shared level of commitment to quality between your brand and our selected contract manufacturers is the key to ongoing success. Cavendish Nutrition has conducted a vigorous quality evaluation of our partnered manufacturers. Our Quality Evaluation form, review of the manufacturers policies and SOPs, plus an on-site inspection and interview with the manufacturer’s quality team gives all our clients confidence in knowing that only best practice is followed. The evaluation of manufacturer facility equipment, material controls, training records, SOPs and all documentation are closely scrutinised without deviation. Cavendish Nutrition is the Black and White of contract manufacturing. 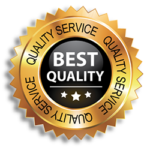 Quality Assurance of your final product starts and ends with our team! The pride of our team and their contribution to the quality of your end product is the foundation of our relationship and your brand’s success. In working with Cavendish Nutrition & Fulfillment you will enjoy streamlined communication with a dedicated project manager. Your project manager will be with you every step of the way: from product development through to order progress and tracking. Everything at Cavendish Nutrition is a collaboration between us and our clients. 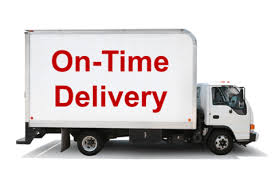 On-time delivery (OTD) is a most important KPI for every contract manufacturer. Meeting customer expectations when it comes to delivery logistics is a top of the list priority at Cavendish Nutrition. Cavendish Nutrition & Fulfillment is here to provide you with the peace of mind that you are partnered with someone who cares as much about your business and products as you do. Working with a manufacturer’s sales rep has you hoping that the rep has your company’s best interest at heart? However, when push-comes-to-shove it’s a different story, the rep is employed by the manufacturer with obviously the manufacturer’s benefit his ultimate priority, not yours. This can lead to immense frustration when it comes to efficiencies and quality in the manufacturing process. At Cavendish Nutrition you are our Number 1 Priority, We Represent YOU. 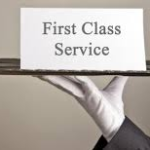 It’s our job to provide you with the support, accuracy, and honesty your company deserves. We take on all the work for you, enabling you to fully focus on the life-blood of your company – SALES. Our industry expertise ensures the right manufacturer is matched to your product, giving your product every opportunity for success when it’s delivered to market. Think of it this way: you contact a manufacturer and talk with one of their reps. You ask for a quote for 10k units of your product. You hope they get back to you quickly and hope what they are telling you is accurate? Unless your placing orders large enough for them to make you a priority, you have no idea as to where you fit in with their production runs? If they do get back to you and you decide to place an order (usually with payment), you are now at the mercy of the manufacturer and hoping you are not bumped for a larger order? secure a vastly more competitive price point and quicker turn-around times! Allowing us to represent you, places you in the position of control. Our relationship with selected manufacturers ensures your order is treated with the priority that only you would expect. If in the rare event something does not go according to plan, Cavendish Nutrition & Fulfillment will handle any event on your behalf and work with the manufacturer to correct it immediately. Cavendish Nutrition & Fulfillment will continuously keep you updated. You’ll never have that uneasy feeling of not being able to get a response or being misled as to when you can expect your order. Cavendish Nutrition & Fulfillment becomes an extension of your company.